We offer an extensive range of mat types, sizes and colours. 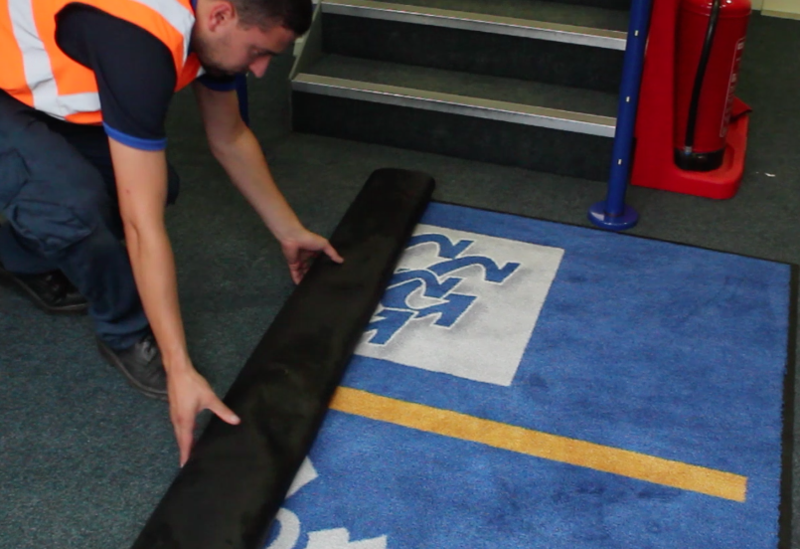 Our ‘lift and lay’ service will ensure your mats are always clean and fit for use. We’ll collect your mats at agreed intervals and leave behind laundered and clean replacements. Logo mats are a great way to utilise the mat as an effective marketing tool. They are visually attractive and functional at the same time. We will work with you to create your chosen design and then provide you with coloured line drawings, ensuring size and colour are suitable for the location of the mat. We are able to reflect your corporate colours in the design of your logo Mat. Standard mats offer a professional barrier service they trap dirt and dust to protect your floors and equipment. Available in a variety of colours and sizes they create a smarter environment for employees and customers.